Next Post Winter Knit Dress + #WIWT Link Up! Such a pretty sweater. I love the color and fit! I love that grid scarf! It is quickly becoming my favorite pattern right now. so pretty! love that blush! Gorgeous color, one of my favorites for the winter season! I love this whole look on you. 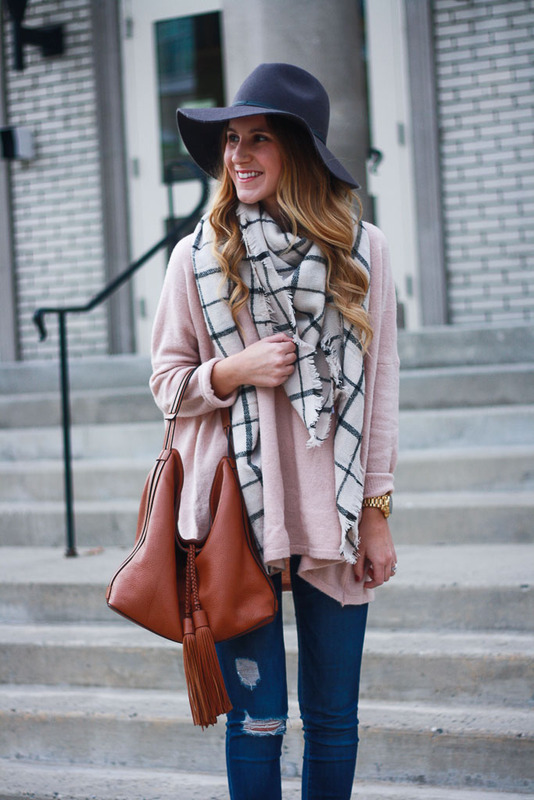 That blush oversized sweater is delightful!! This entire look is perfection! 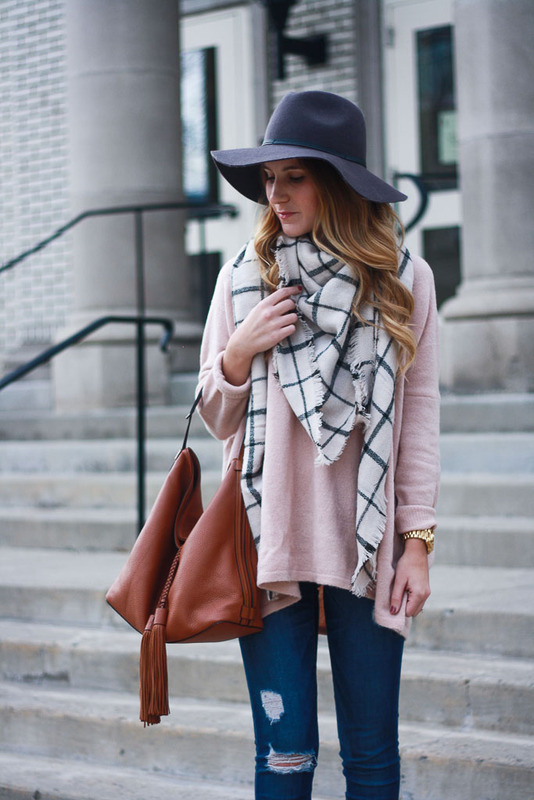 I'm obsessing over that oversized sweater, and that scarf is perfect with it! Super cute bag – I'm obsessed with all things Rebecca Minkoff – love the tassels and color of this one! I love the color of this sweater! Obsessed with the scarf and sweater!! I love a good cozy sweater and I think I need to add that one to my collection! So cute! Find latest Government jobs for freshers in Chandigarh from a number of job opportunities in Government category, click here to know more.